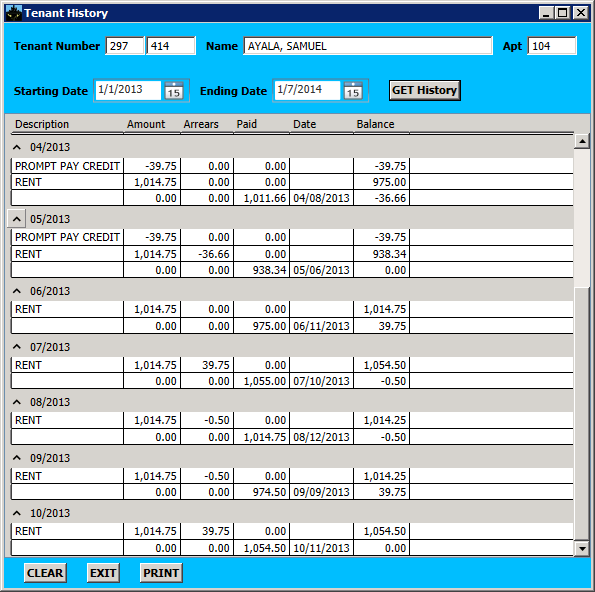 The history shown will default to the current date and back 1 year. You can change the date range and click GET HISTORY to retrieve other time periods. The PRINT button is used to get a hard copy of the entire date range and not just the part of it visible in the window. This history is maintained until you decide to remove it by specifying the earliest date that you want to keep.